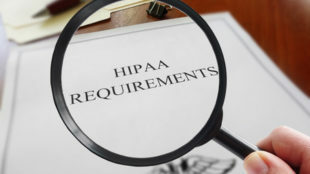 The HIPAA Rules place restrictions on the disclosure of protected health information (PHI) and healthcare records without prior authorization from patients – termed a HIPAA authorization. The HIPAA Privacy Rule, which has been in force since April 14, 2003, introduced standards on the permitted uses and disclosures of patient data, which include to whom data may be shared and under what instances PHI may be disclosed. The HIPAA Privacy Rule allows medical data to be shared by healthcare providers, health insurers, healthcare clearinghouses, and business associates of HIPAA-covered entities and other entities subject to HIPAA Rules under specific circumstances. Generally, allowed uses and disclosures of PHI are restricted to treatment, payment, or healthcare operations. HIPAA authorization is permission given by a patient or health plan member that allows a covered entity or business associate to disclose or make use of PHI for a purpose that the HIPAA Privacy Rule would otherwise not permit. Without a HIPAA authorization, using or sharing PHI violates HIPAA Rules and could result in a financial penalty, or in certain cases, criminal charges. When Should a HIPAA Authorization Be Obtained? Using or sharing PHI for marketing reasons except if communication takes place one on one between the covered entity and the person, or if the communication entails a promotional gift of minimal value. What Must a HIPAA Authorization Form Include? A HIPAA authorization is a document detailing, in full, the precise uses and disclosures of PHI. When a person signs an authorization, he/she is agreeing to have his/her medical data used or disclosed in ways stated on the authorization. The covered entity or business associate can only use or disclose PHI for purposes detailed on the authorization. The authorizing individual’s signature and date of signing. If an individual’s authorized representative provided the authorization, there must be a description of the individual’s authority to act on behalf of the person. The effects of not signing the authorization when the covered entity is allowed to condition treatment, registration in the health plan, or eligibility for benefits on the inability to get authorization. The person giving the consent should be provided with a copy of the authorization form for his/her personal records.